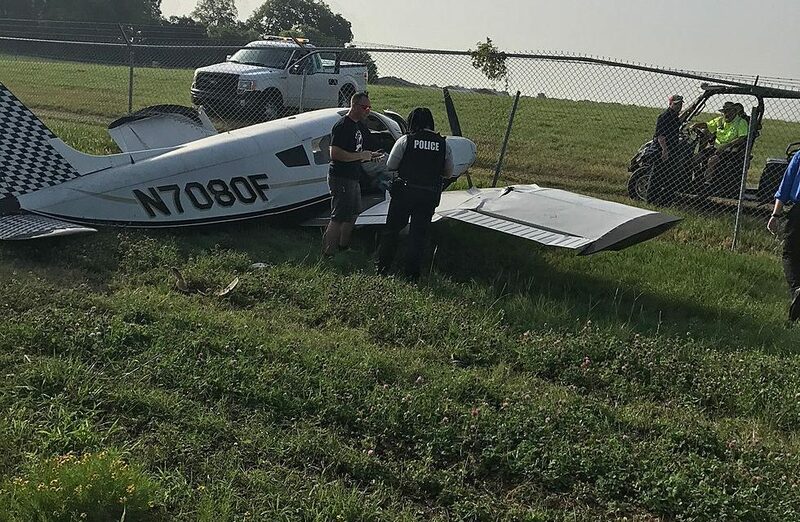 On July 19, 2018, about 0802 central standard time, a Piper PA28A, N7080, registered to a private individual, sustained substantial damage during a forced landing after a loss of engine power near the Shreveport Executive Airport (DTN), Shreveport, Louisiana. The commercial pilot, who was the sole occupant was not injured. Visual meteorological conditions prevailed and a flight plan was not filed. The post-maintenance check flight was being conducted under the provisions of Federal Code of Regulations Part 91. The flight originated about 0730 from DTN. The airplane had just completed an annual inspection on July 18, 2018, and the purpose of the flight was a post-maintenance check flight. According to the pilot, after takeoff from the DTN airport, he stayed in the local traffic pattern and performed two touch and go landings. He proceeded north of the airport and climbed through 2,500 feet. He stated that the airplane could not attain more than 300-foot per minute rate of climb without losing airspeed, and noticed a decrease in engine RPM's. Oil pressure and oil temperature were in the normal operating range, the vacuum gauge indicated "zero" and gyroscopic instruments began to drift and tumble. The pilot proceeded directly for DTN and set up for a landing on runway 14. On final, the engine RPM's decreased and the aircraft slowed. The engine did not respond to throttle inputs and the pilot was forced to land the airplane on a river levy. The aircraft bounced into the air and came back down, contacted a road, and came to rest against the perimeter fence of runway 14. Initial inspection of the engine revealed that the output shaft of the vacuum pump was sheared. The wreckage was moved to a secure location for further inspection. No one hurt when a plane made a crash landing just north of Shreveport's Downtown Airport this morning. Shreveport Fire Department's Chief Fred Sanders says there was no fire. There was also a passenger onboard the plane, but that person was not hurt, either. The Chief says the plane was in the air for 30 minutes before the crash landing. The Piper PA-28-140 Cherokee Cruiser F ia based at the downtown airport. But we do not know who it belonged to at this time. Mark Crawford with the Shreveport Airport Authority tells KEEL News the plane was on a routine maintenance flight before the crash which happened on airport property just short of the runway. A fence on the property may have been damaged. 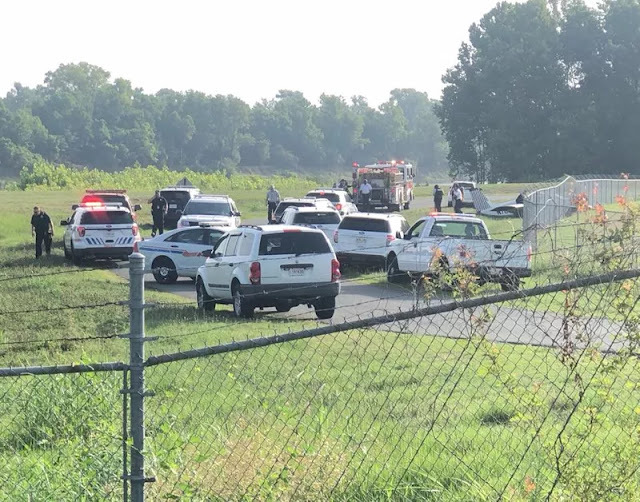 SHREVEPORT, LA (KSLA) - A pilot is safe after his plane crashed Thursday morning in Shreveport. It happened just after 8 a.m. north of Shreveport Downtown Airport. 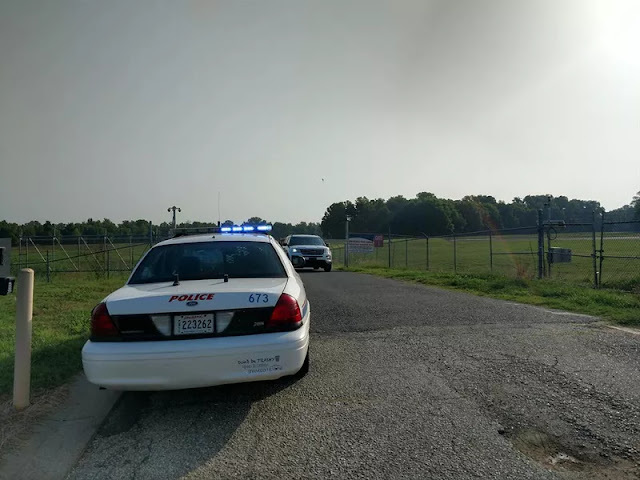 According to Shreveport Fire Department's Chief Fred Sanders, there was no fire and the pilot was not injured. 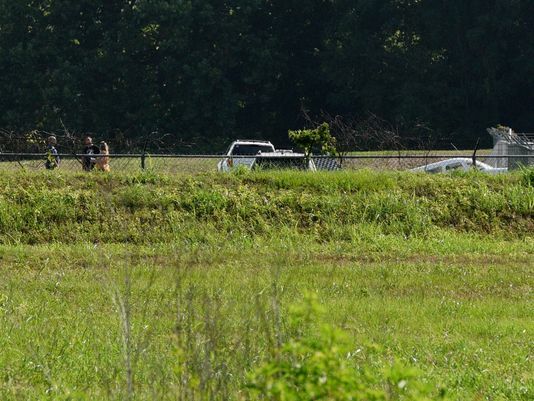 According to Mark Crawford with the airport, it was a Piper Cherokee 140 Aircraft. No passengers were on the plane at the time. Sanders said the plane was in the air for 30 minutes before the crash landing. The pilot said he was fine and did not want to be sent to a hospital. Damned fences, they always ruin the fun of landing! Ban Fences! Ha! Ha! Laugh out loud funny!